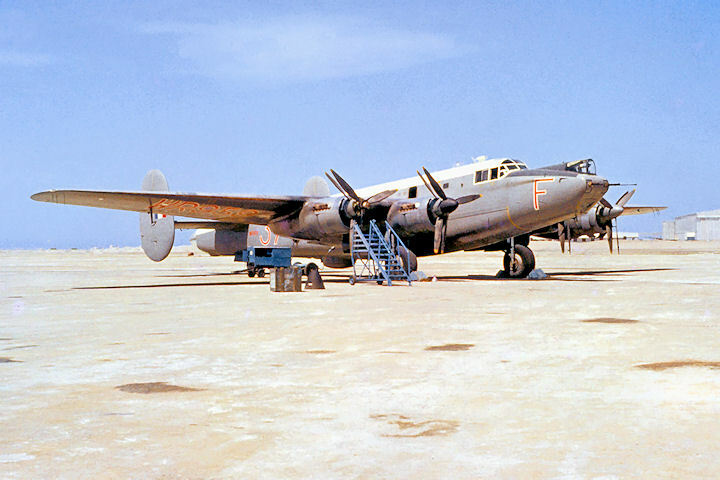 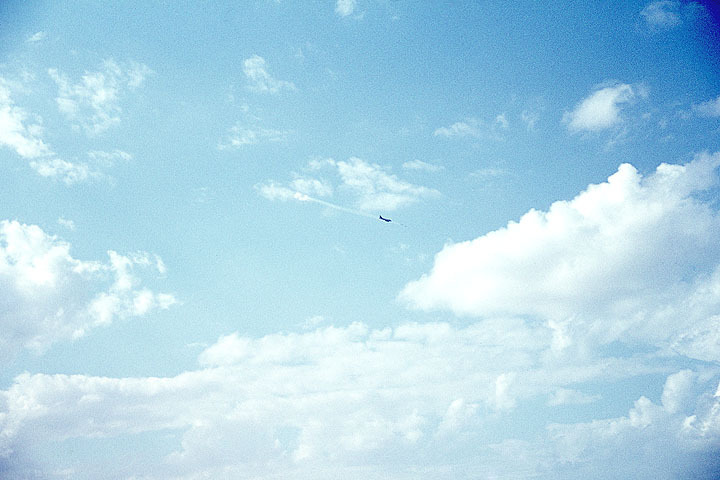 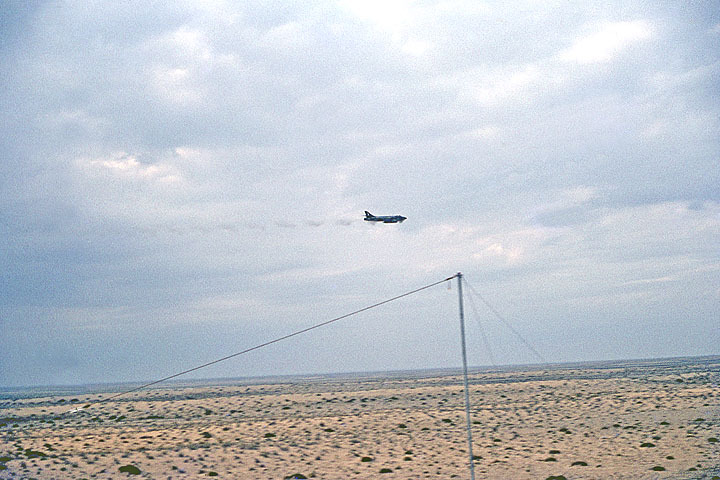 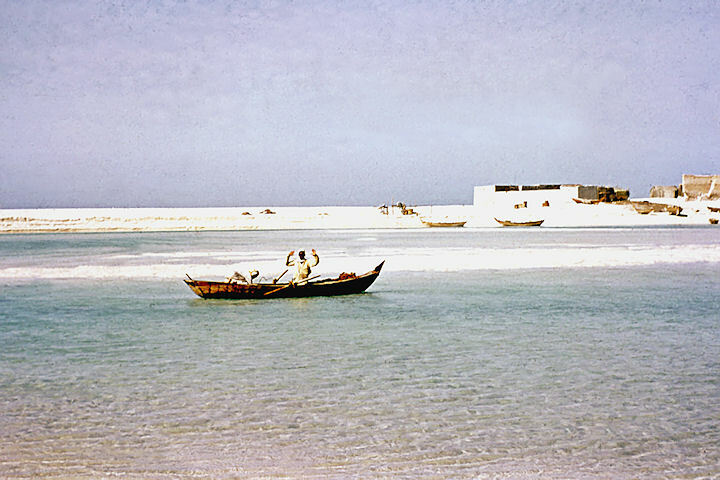 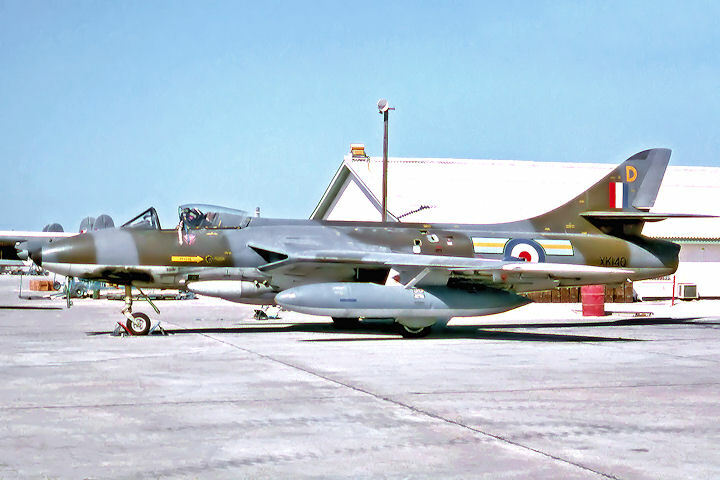 Located in the Trucial States (now part of the United Arab Emirates), some 200 miles from Bahrain and 12 miles east of Dubai, RAF Sharjah played an increasingly important role during the final decade of the RAF’s tenure in the Persian Gulf, not only in its capacity as a major route station for aircraft flying within and beyond the MEC area, but as host to the AFME Hunter squadrons partaking in Armament Practice Camps on the Jeb-a-Jib range. 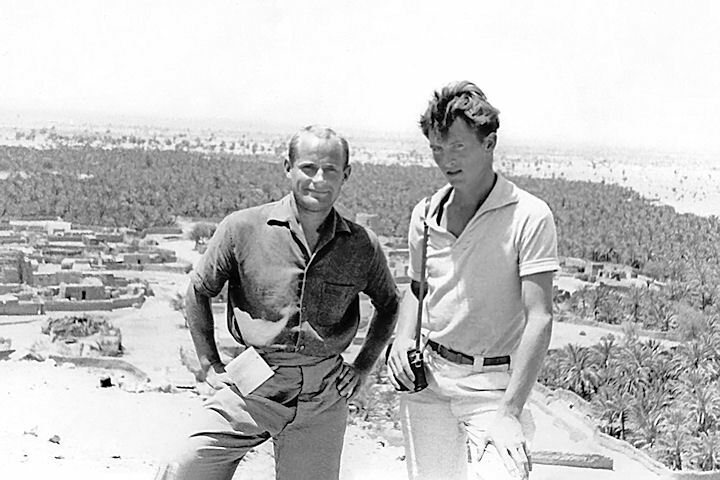 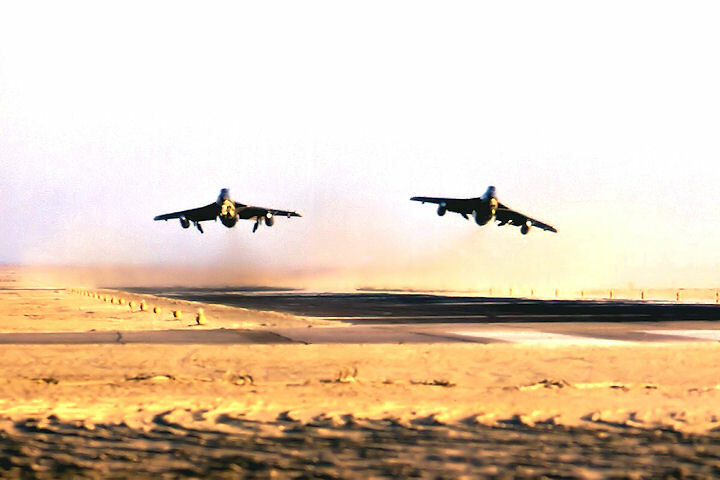 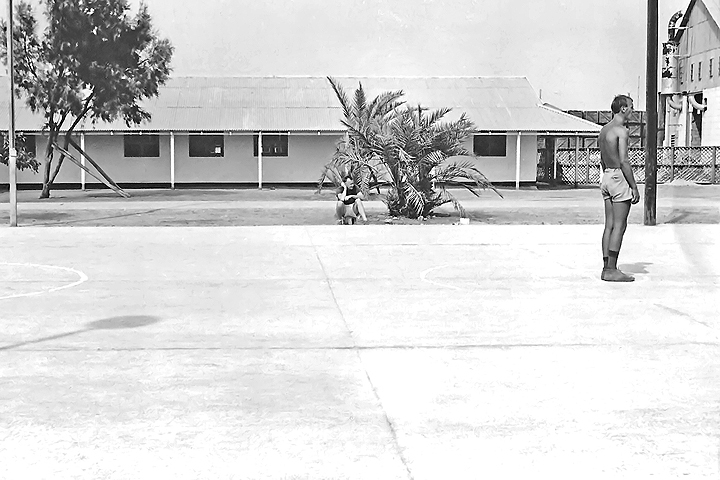 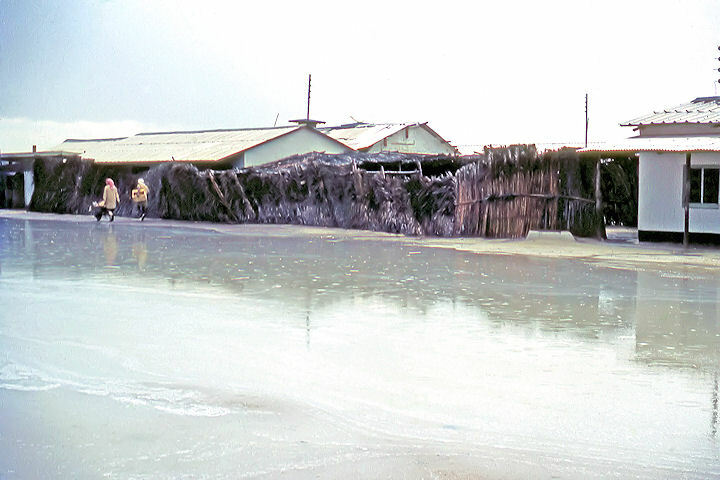 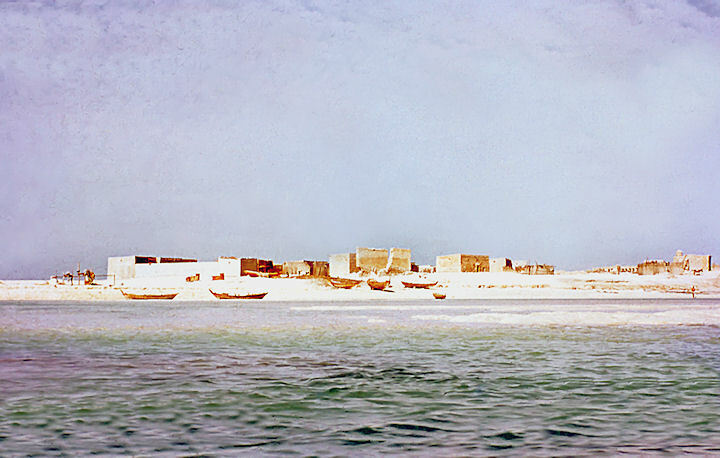 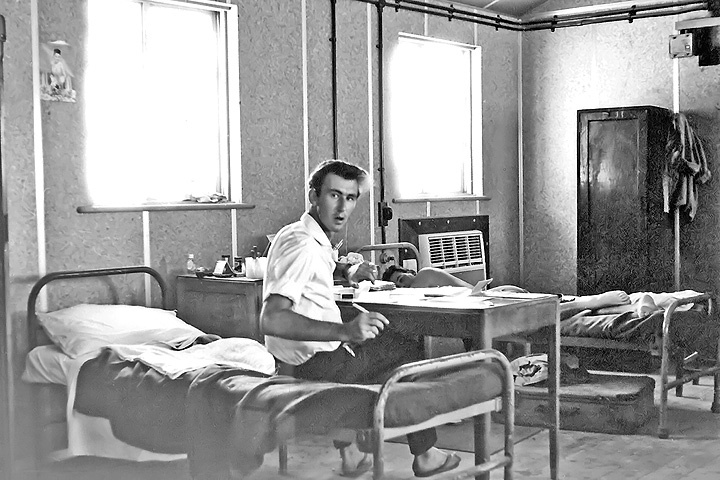 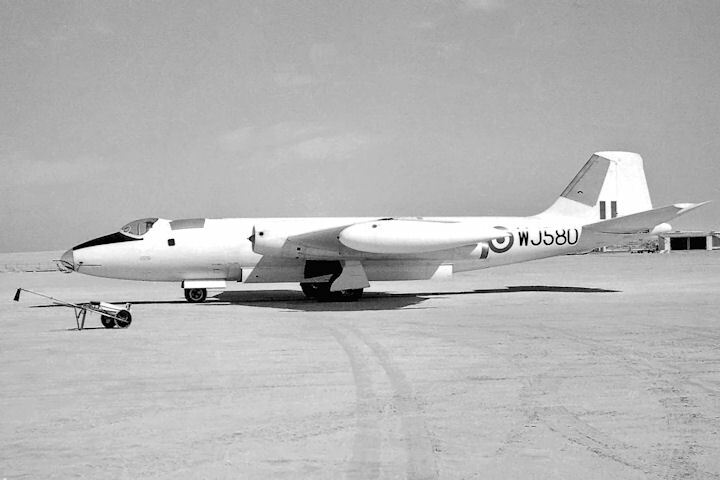 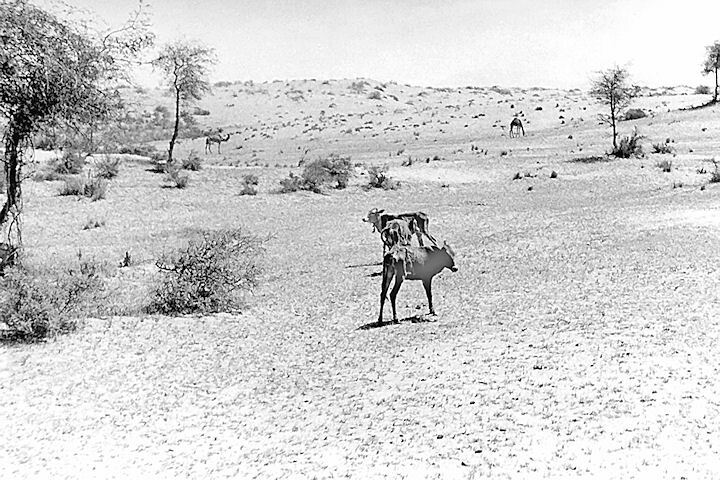 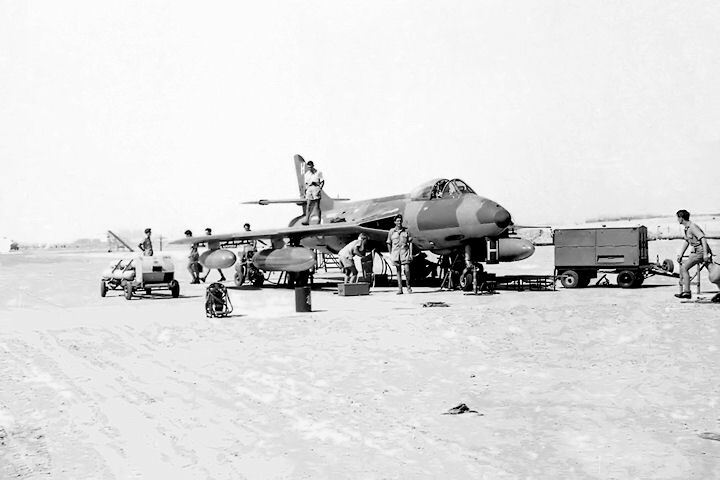 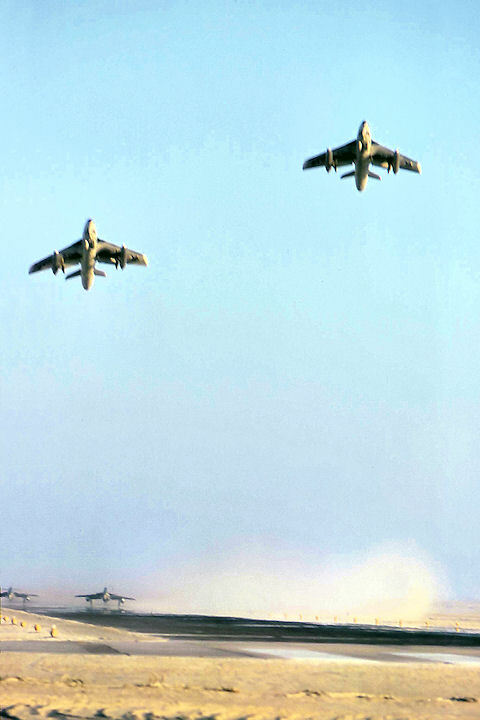 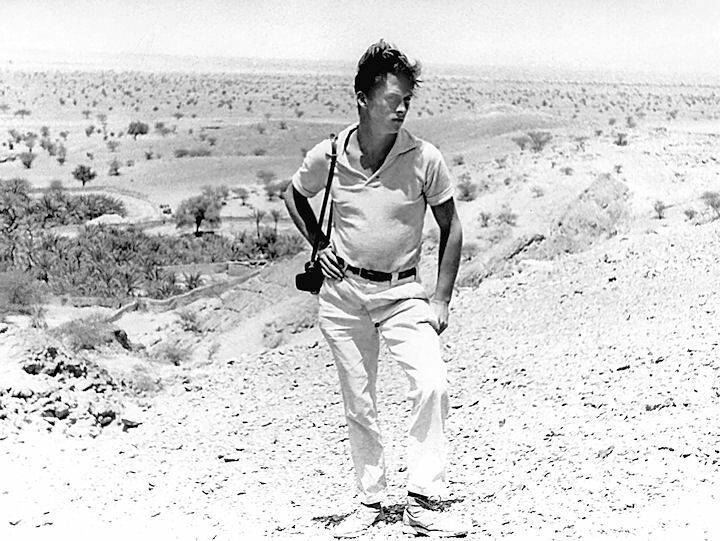 With the closure of the station in December 1971, the task of providing Hunter training and routing facilities fell on Masirah. 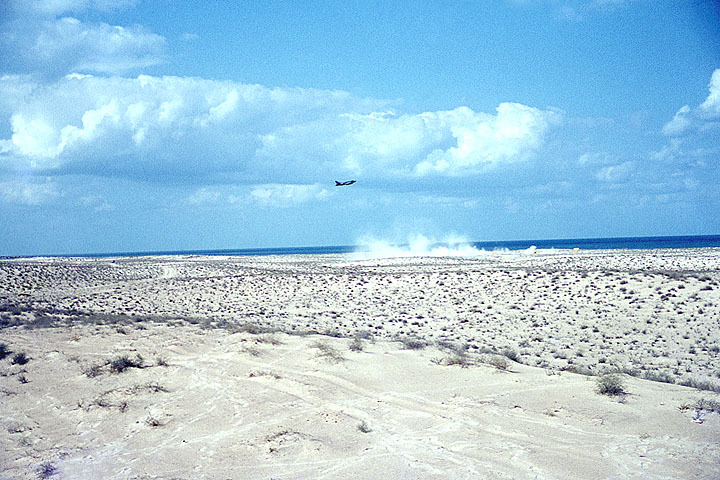 The following gallery contains images taken during several APC detachments to Sharjah by 8 Squadron. 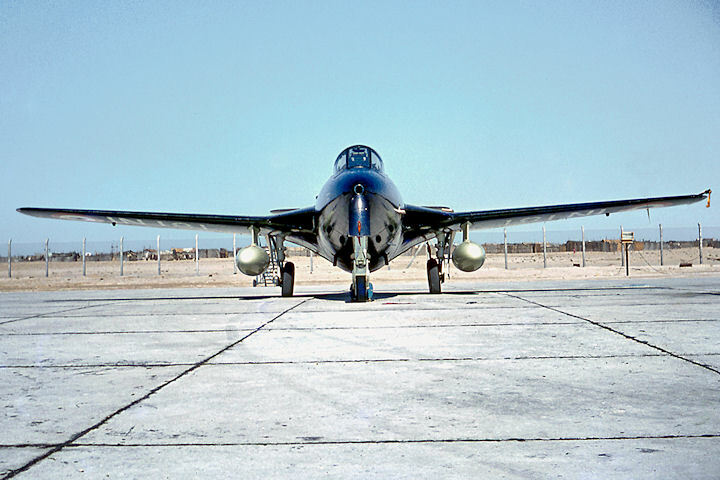 Of note is the new nose cone and nosewheel door, the result of a two-wheeled landing at Bahrain a few day earlier. 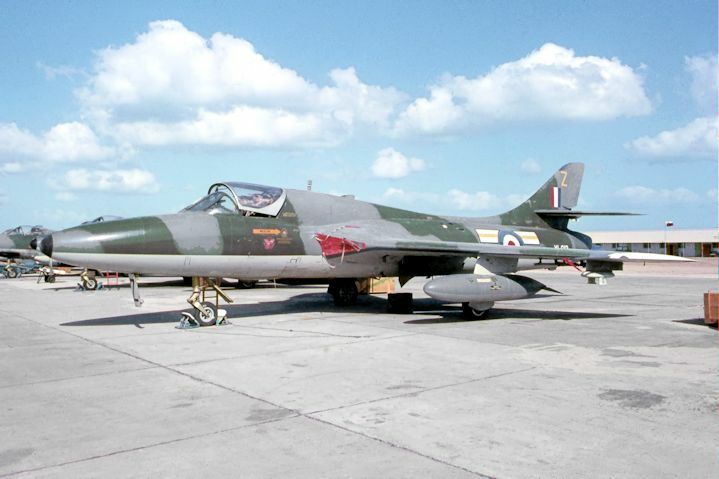 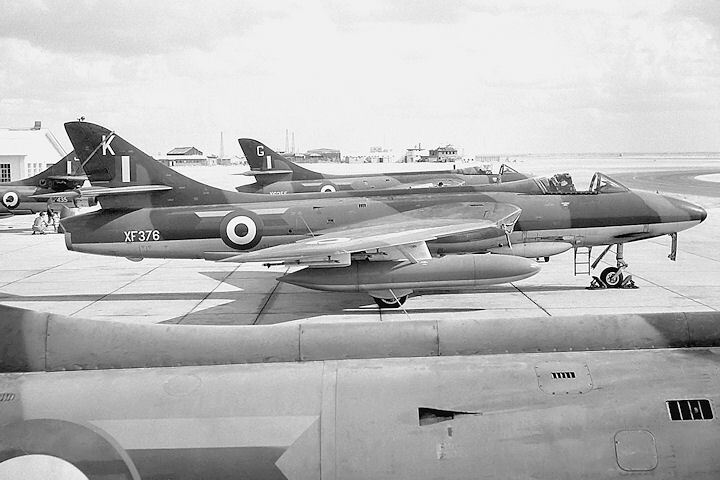 The Squadron continued with an allocation of four FR.10s, XJ714 seen here, being fresh from refurbishment in the UK. 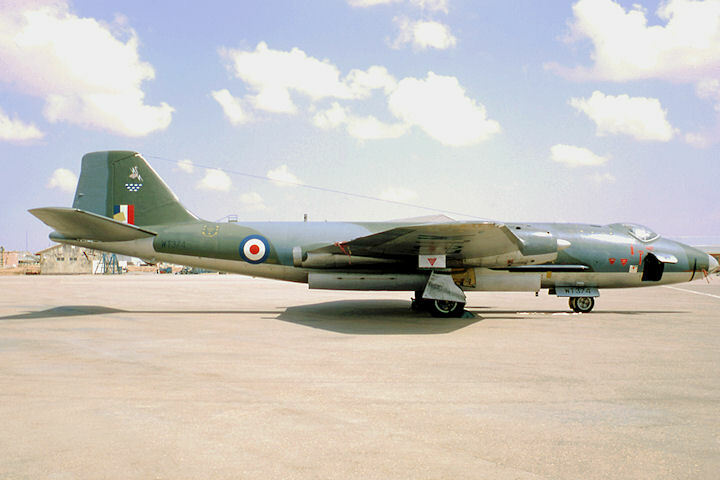 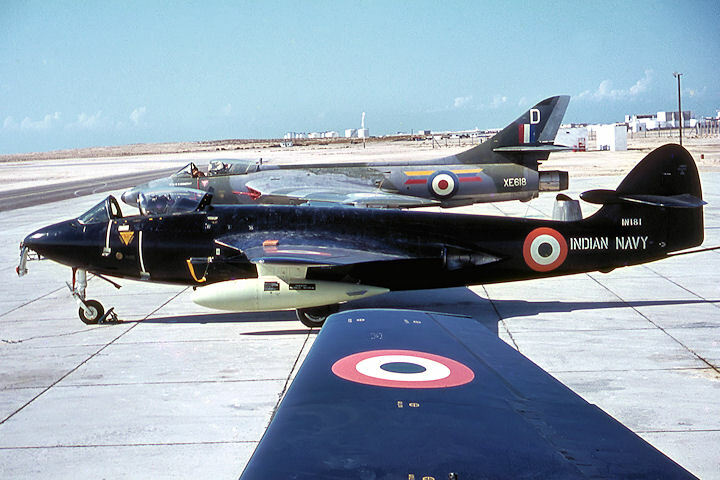 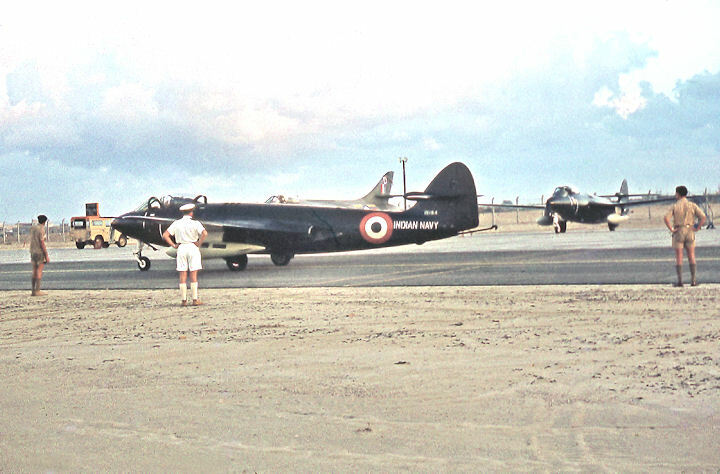 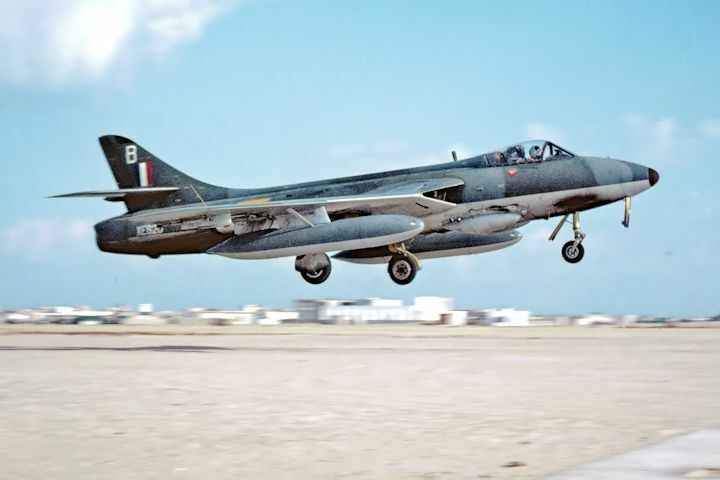 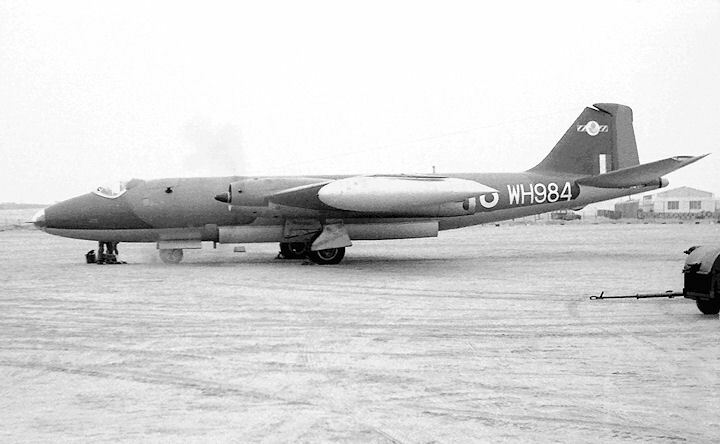 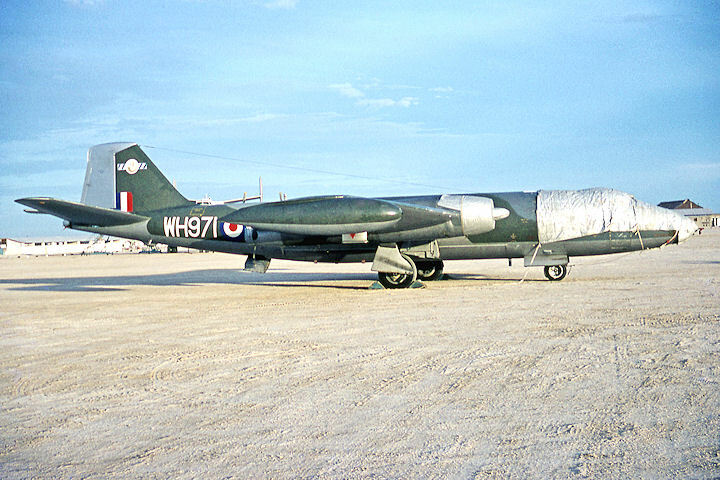 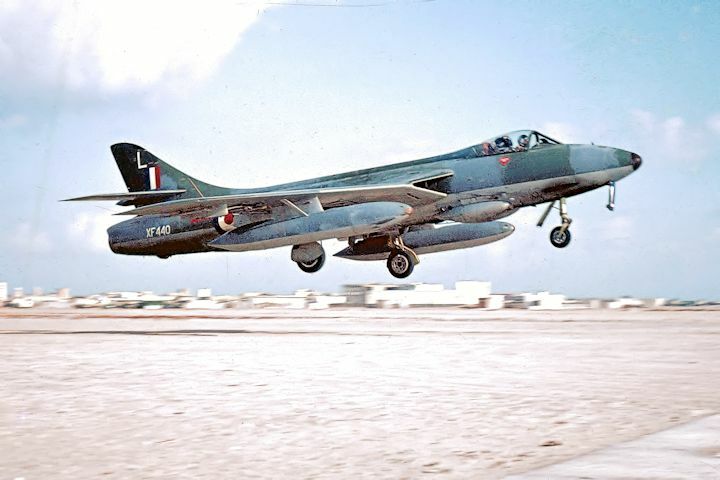 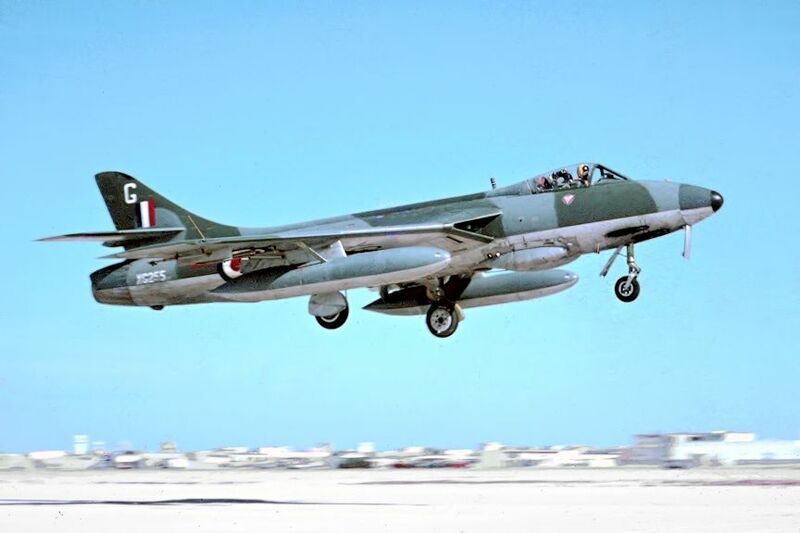 In 1963, six former Royal Navy Hawker Sea Hawks were sold to the Indian Navy and passed through Sharjah during their ferry to India in pairs. 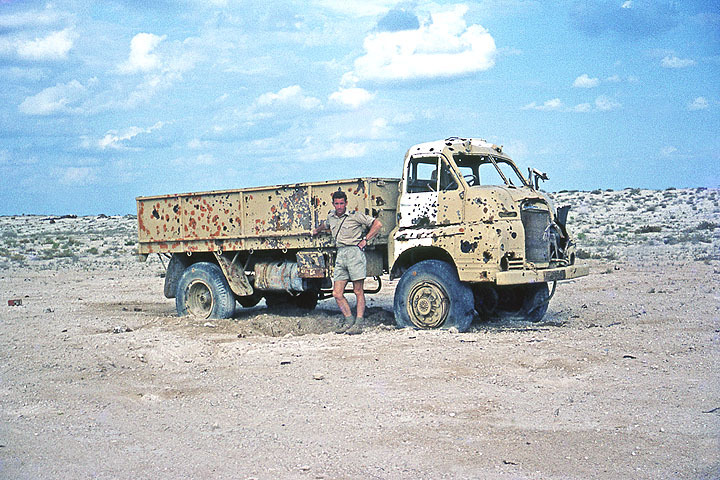 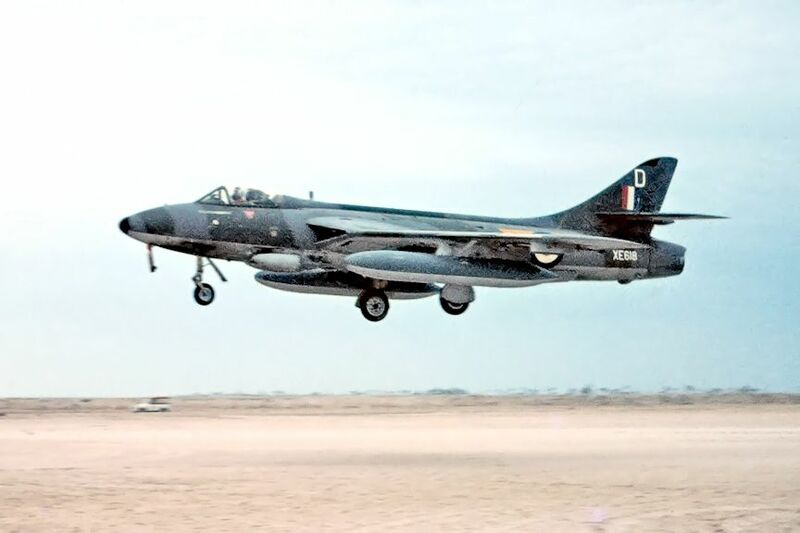 Painted in an all-over black colour scheme, two of them made a 'stop-over' during an 8 Squadron APC detachment in late November 1963, and these are pictured in the following gallery. 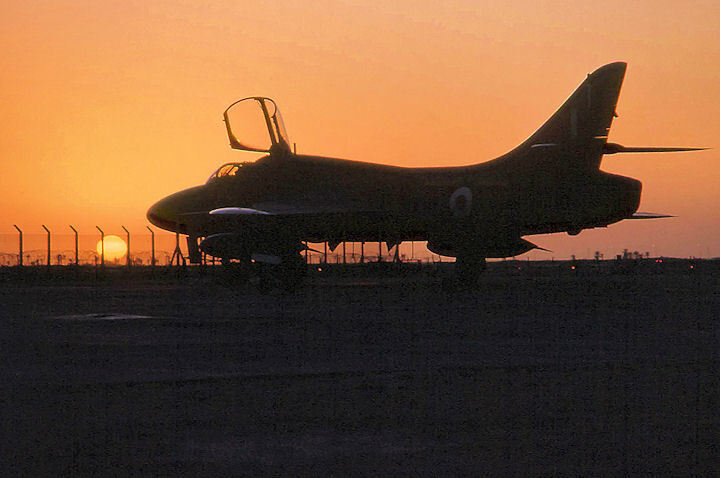 As 8 Squadron exchanged pilot, Lt Tim Notley (RN), knew the pilots, the squadron undertook the responsibility of looking after them. 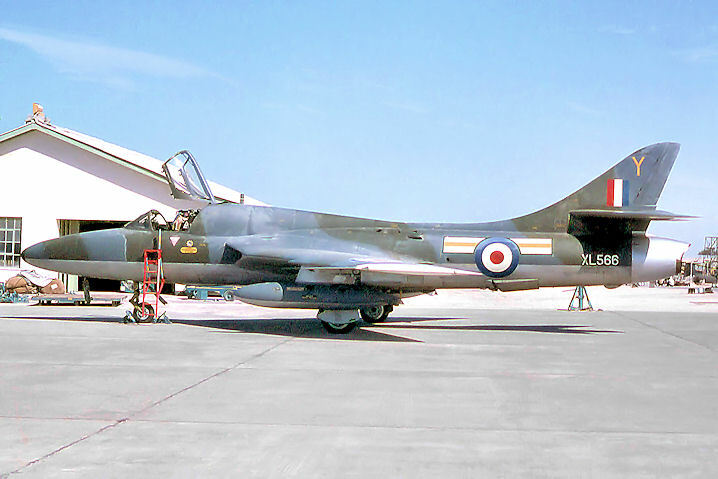 IN181 was formerly XE378 with the Royal Navy. 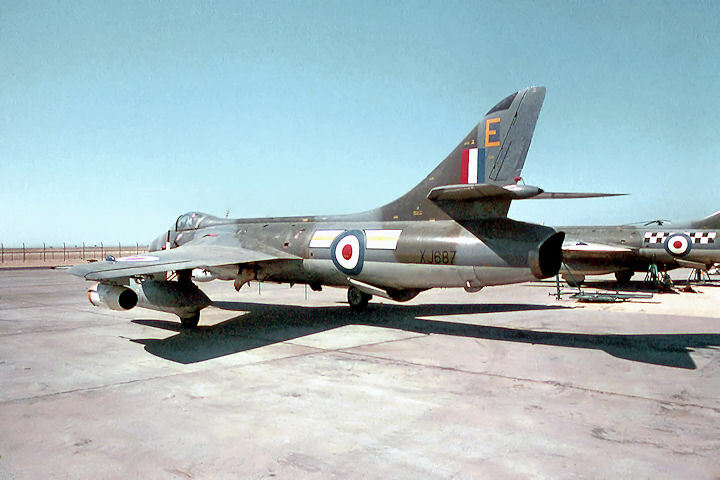 IN184 was formerly XE394 with the Royal Navy. 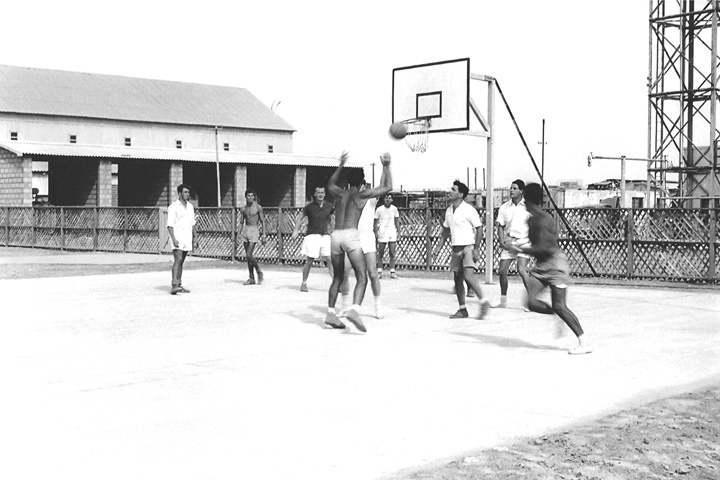 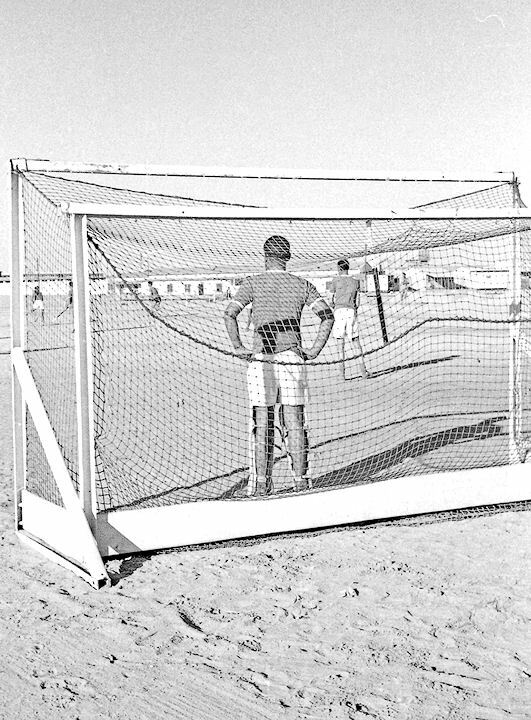 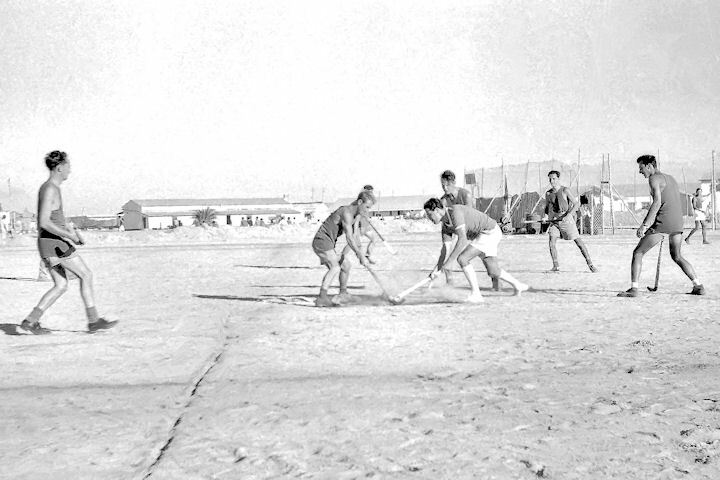 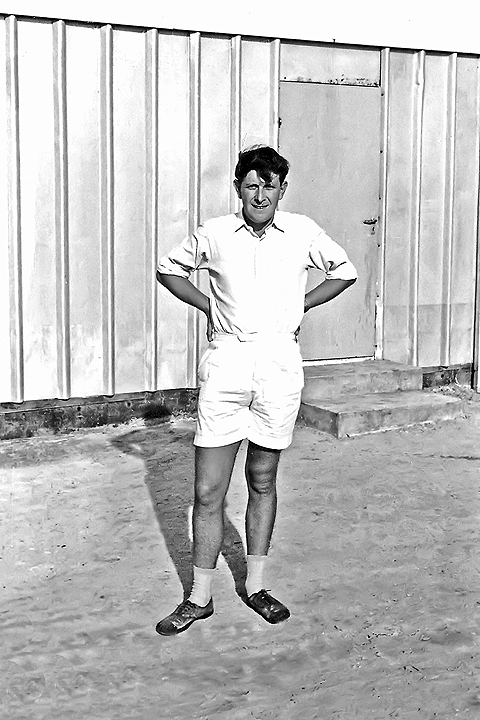 Apart from the nearby beaches, leisure pursuits at Sharjah were almost non-existent, sport being the main physical activity. 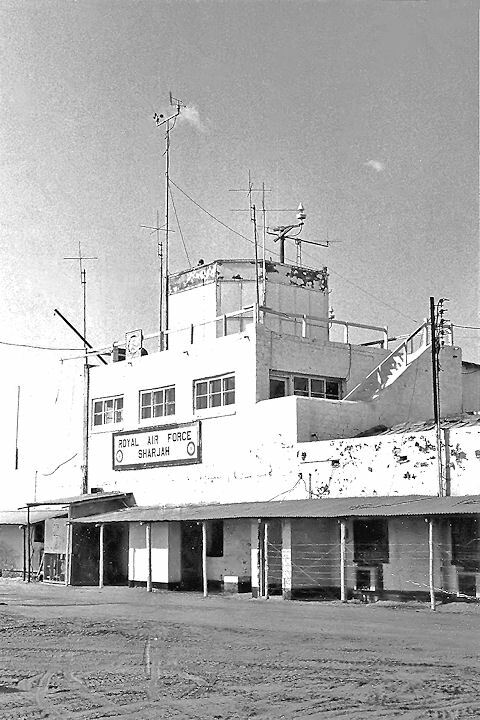 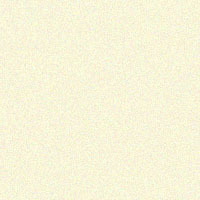 It was around this time that the announcement of the assassination of President Kennedy came through. 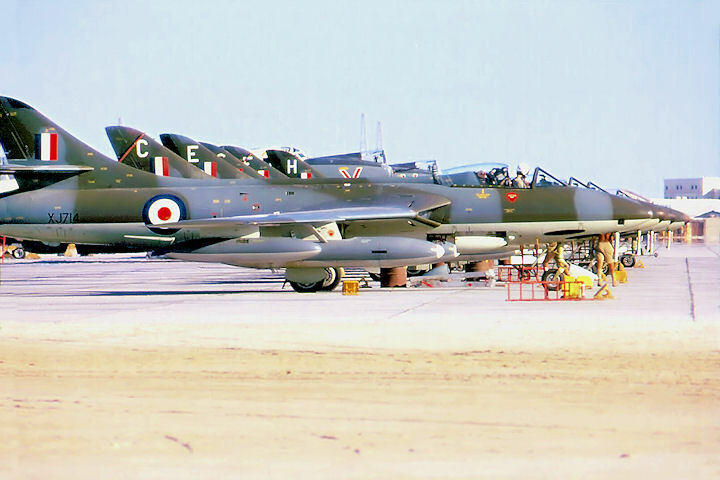 A selection of various military aircraft to be seen at RAF Sharjah is depicted in the gallery below. 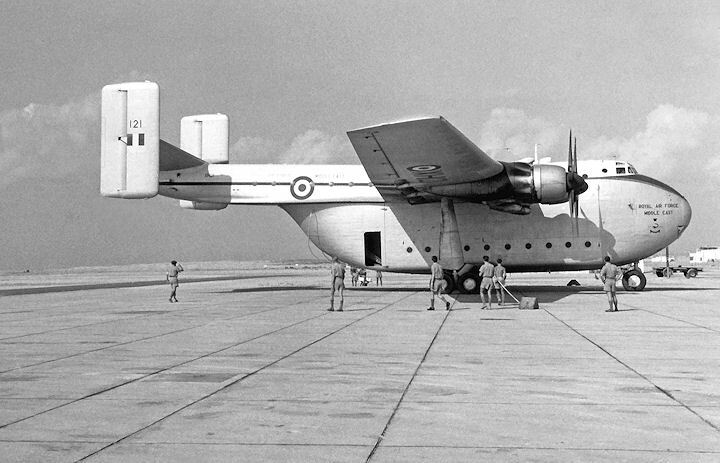 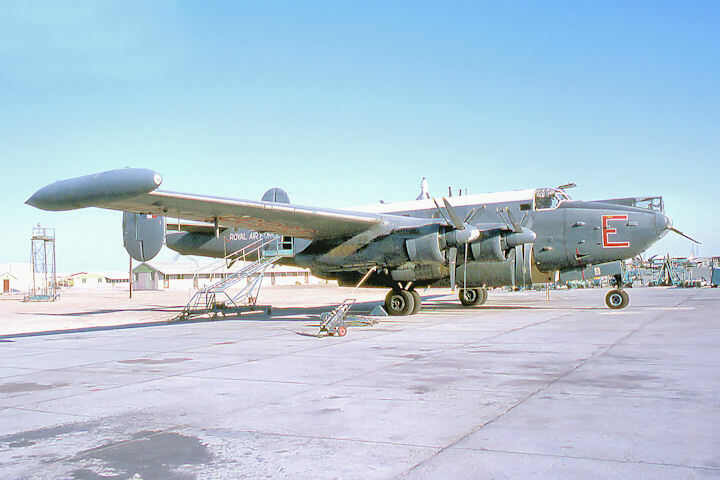 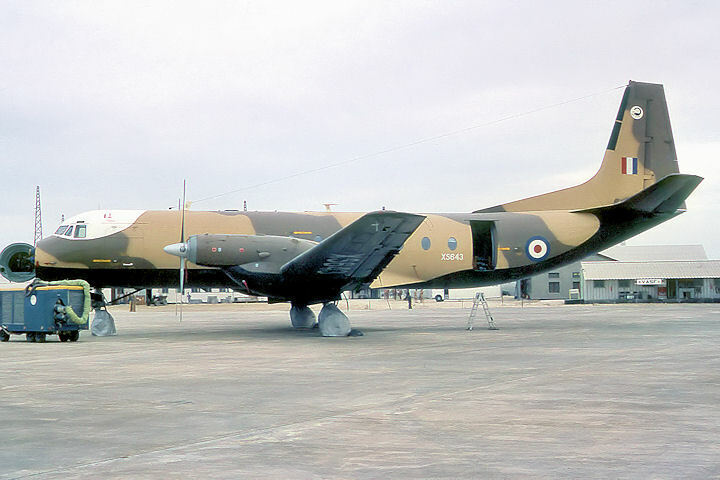 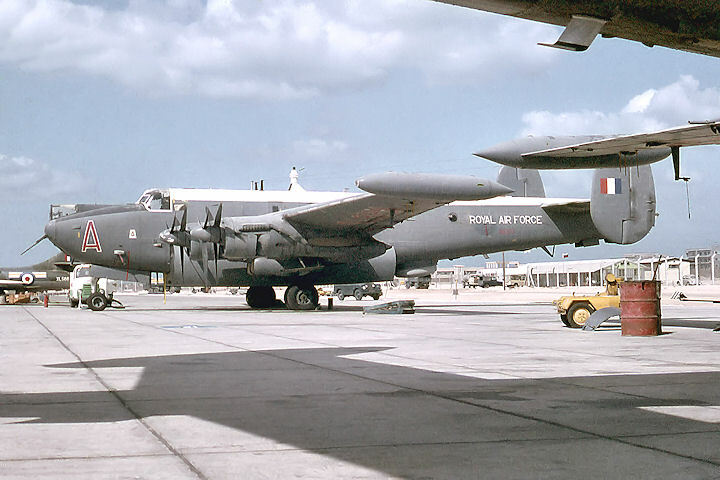 When 37 Squadron disbanded at Khormaksar in September 1967, the MEC maritime and SAR roles were taken over by rotating detachments of pairs of Shackleton MR.3s, based at Sharjah and drawn from UK squadrons. 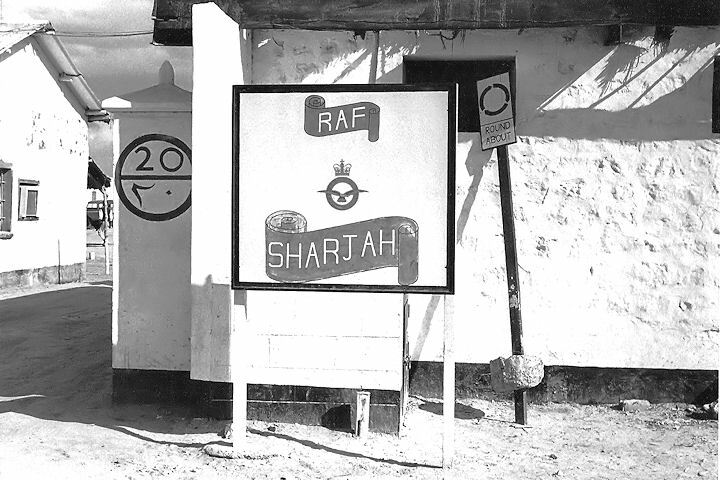 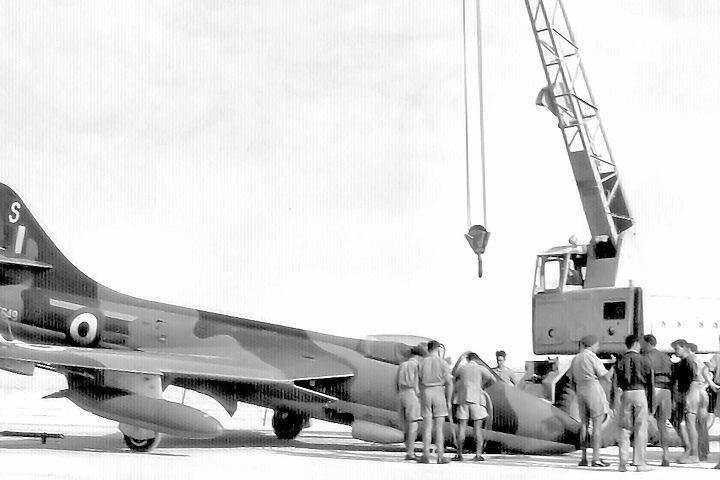 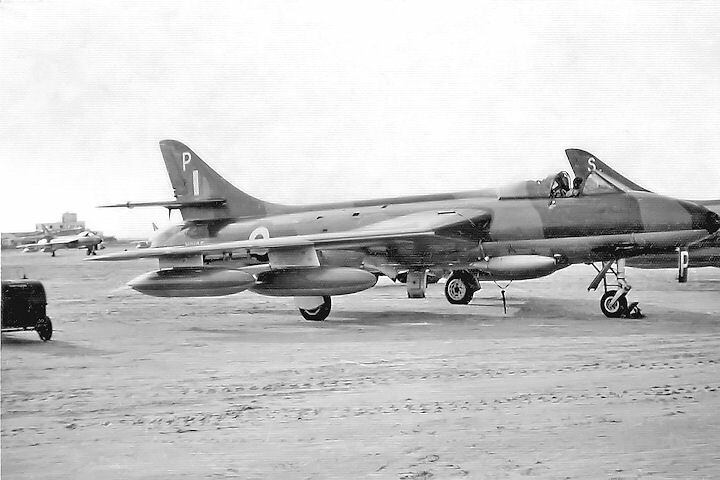 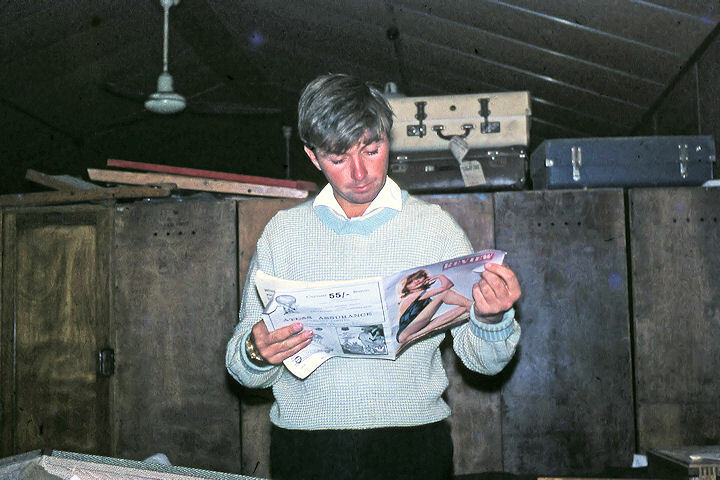 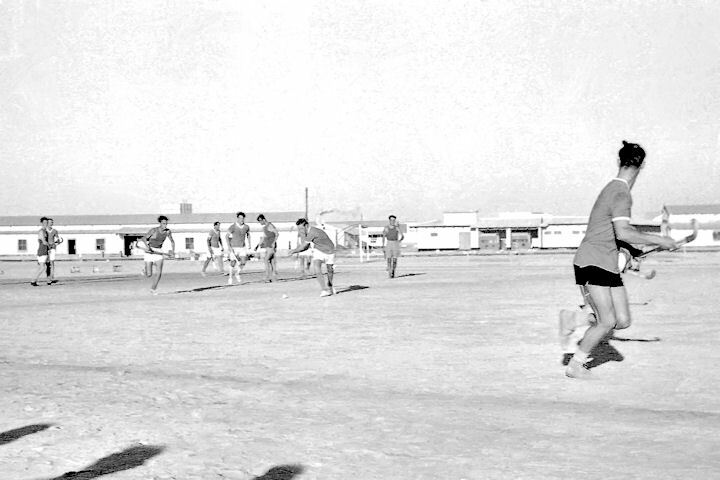 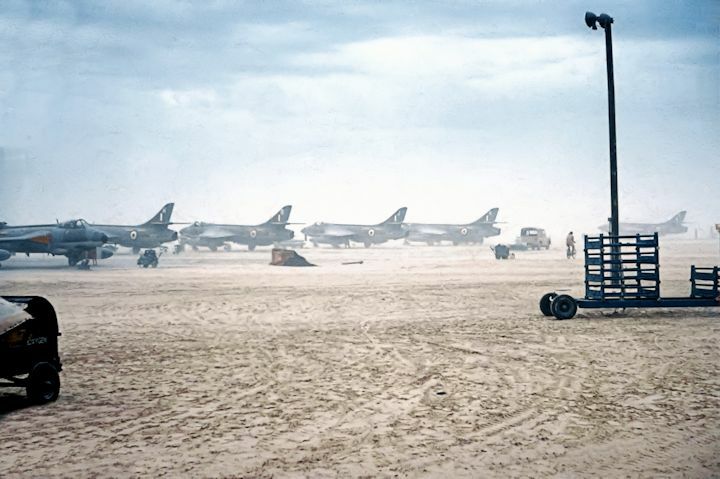 Following the closure of Khormaksar in November 1967, Sharjah continued to offer APC detachments to both 8 and 208 Squadrons, the following gallery illustrating one such detachment by 208 Squadron in 1968. 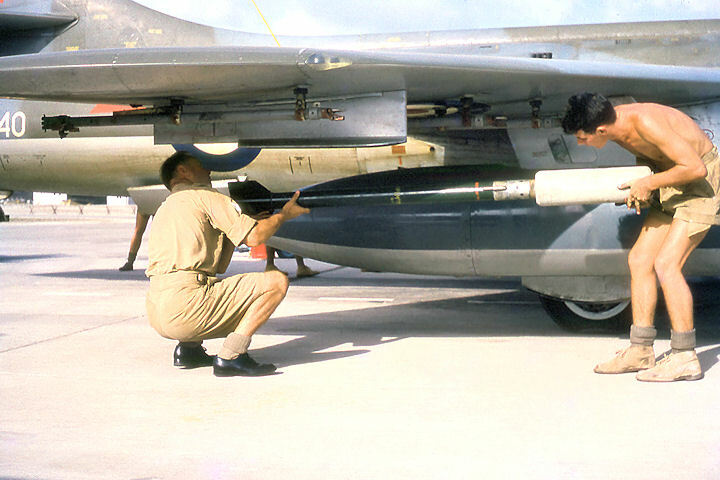 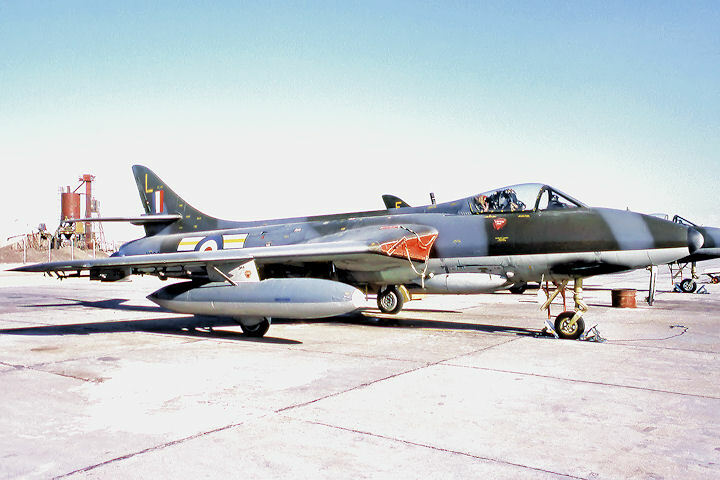 It is interesting to note that by this time, the Hunter FAG.9 had been modified to carry SNEB rocket pods on the outer pylons. 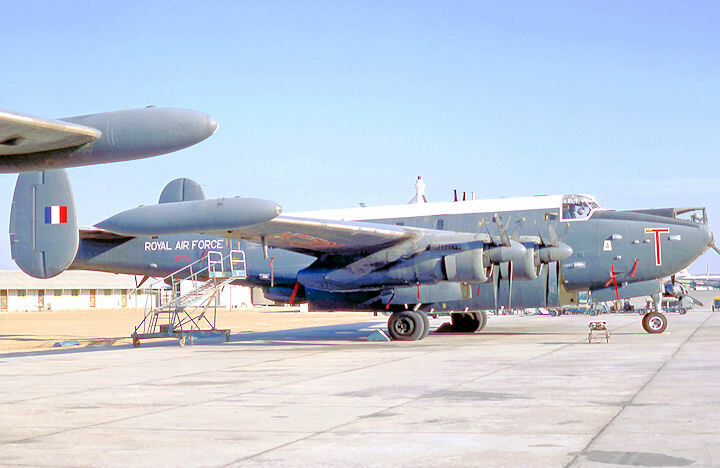 One wonders what pilots would have given to have that option in Aden!